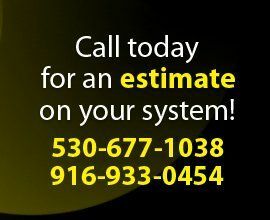 We will size your system based on your real needs. The Owner (Jeff Brown) will be the person who takes your call and comes out to every job. Will come out and truly maintain your system, not just try to sell you a new system. Don’t be fooled by ads for “$39-$69 Spring or Fall maintenance special” our competitors run in which you get a new technician who works on commission and just wants to sell you a new system. Clean dirt, leaves and debris from inside cabinet. Inspect base pan for restricted drain openings – remove obstructions as necessary. Inspect coil and cabinet – clean as needed. Inspect fan motor and fan blades for wear and damage – on older models lubricate as needed. Inspect control box, associated controls/accessories, wiring and connections. Controls may include contractors, relays, circuit boards, capacitors, sump heat and other accessories. All control box and electrical parts should be checked for wear or damage. Inspect and clean blower assembly (includes blower housing, blower wheel and motor). On older models, lubricate motor and inspect and replace fan belt if needed. Check combustion blower housing for lint and debris and clean as necessary. Inspect burner assembly – clean and adjust as needed. Inspect ignition system and safety controls – clean and adjust as needed. Inspect flue system – check for proper attachment to the furnace, any dislocated sections, signs of corrosion. Replace if necessary. How can you operate a legitimate business that has workers' compensation, health benefits, insurance coverage, commercial building costs, truck maintenance and still pay your employees when you only charge $39 per visit? … Not. 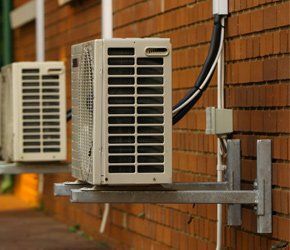 We have a full staff of factory-trained service technicians qualified to service and repair all brands, makes and models of residential and commercial HVAC systems. Our service fleet is radio dispatched, fully stocked to service all types of systems and ready to meet all your service needs from emergency service to annual maintenance and is also available for both night and weekend service. Our knowledgeable technicians have been with our company for as long as 30 years. We have received the Trane Comfort Specialty Award, a prestigious certification program for technicians in the HVAC industry. We won’t try to sell you a system that has a lot of the bells and whistles like our competitors who work on commission. We won’t try to sell you bells and whistle upgrades for your existing system. We will then design an appropriate system working within your budget and your real needs. In-house financing available upon request on all installations.